» Daylight time again, but why? Daylight time again, but why? 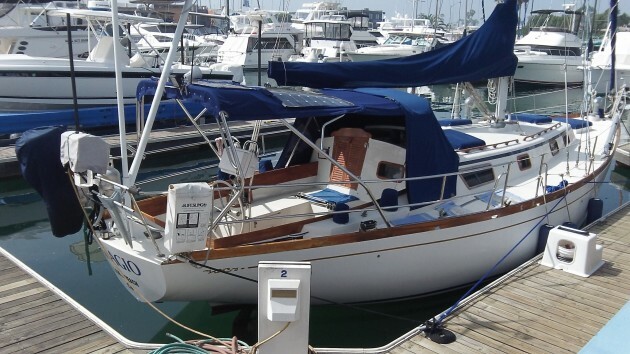 If I had a boat like this, I’d be tempted to take it out and sail it, daylight time or no daylight time. By now you may have gotten over the effects of the time change last Sunday. And if you were lucky, you didn’t fall victim to the increase in the frequency of traffic crashes that is said to be following the springtime switch. This is what our lawmakers are counting on. They count on us to get over it and not complain. But complain we should. We should complain every day and every week until lawmakers in Salem and Washington get the message and repeal this useless but bothersome ritual we are still condemned to go through. Congress legislated daylight saving time, but the law does not require states to follow it. Arizona and Hawaii don’t. Apparently their legislatures are smarter than the other 48, inncluding ours. The question is: why continue something that does no good at all in terms of saving energy but that causes a good deal of grief? Why wouldn’t legislators be eager to repeal a law that a majority of the public thinks is dumb? 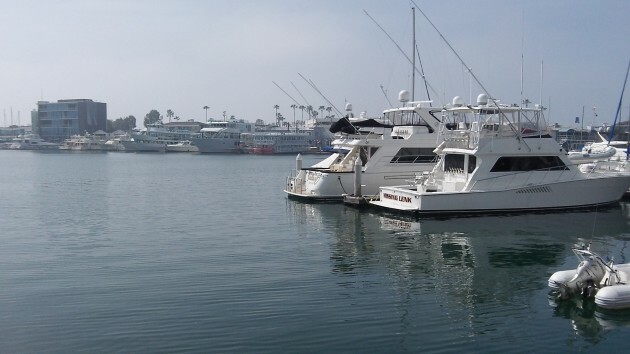 Daylight saving time in March makes no difference on the calm waters of Newport Beach, Calif.
Back when i worked a day job, DST often helped me to get the lawn mowed before dark during the few dry days we had in the Spring. Having to wait until the weekend could mean the grass had gotten beyond what a lawn mower was designed to cut if you had a few consecutively wet weekends. As a bicycle rider, I’d think you’d prefer that hour of daylight when the temperatures were warmer??? I hate it too. Seems like we have bipartisan agreement. Personally, I’d be happy with Daylight time 12 months of the year. Remember the “gas shortage days” of 1974? Nixon wiped that one away with an (effective) executive order. I never really understood the reasons for the daylight vs. standard time. Spare me the reasons I’ve heard so many times. None of them wash with me. I’ve worked every shift possible, gone to work as early as 5:00 in the morning and worked odd shifts throughout my life. I was a snow groomer at Mt. Bachelor long ago and we worked from 2:00 am until the mountain was finished, regardless of the weather, even if it took us until 2:00 pm or beyond. We were done when we were done. Period. What’s the big deal? Either one is up for the job, and its requirements, or not. You go to work when the work is there for you. Period. Lawn mowing? I get it….but humans have an uncanny ability to adapt. If you need illumination, there are LED headlights you can attach to a ball cap that work well. They are cheap and battery life is long with LED technology. .
On the other hand, what’s the big deal, really? In as little as a few days, not more than a week, we adapt and move on with our lives, and continue with our daily toils. I appreciate this is a topic worth considering twice a year but come on, do we need to get upset over it? I have better things to do…..like finding an electable conservative candidate for occupation of our White House. The current occupant isn’t up to the job, for sure. We have much more to be concerned about. Who came up with the brilliant idea of moving the clocks forward on the weekend…in the middle of the night? Why not move them ahead on a Friday around 4 PM? As someone who as lived in this sunshine deprived state for 66 years, the answer is to switch to Mountain Standard time the year around which would alleviate the time change but allow us to see the sunshine once in a while. Anybody who works knows you would be lucky to get 2 hours of daylight after work without changing to daylight time. When I worked graveyard in the plywood mill, the sun starts coming up at 3:30 in the summer and sets about 8:00.